Unlike the consultant referenced in the below article, I am going to start this post with the disclaimer: There clearly is a place for high street agencies and a good portion work hard to retain clients with a solid service offering and genuinely care for the outcome. This said, among the headhunting fraternity, I would agree with the comment "recruiters throw the title around without actually being consultative." Don't worry, I am not going to twist this article into paragraphs of self promotion, as Collingwood isn't alone in offering a partnership, consultative approach; but. In my experience, there is always someone who will offer "the same service" for a lower fee, who promise to fill vacant positions within the fraction of the time a true headhunter works. Having invested little time with the client, four days later, hey presto, a shortlist is sent. Has this person truly researched the market; built a robust representation of the landscape; offered the client options, in terms of salary ranges, experience levels, slightly different backgrounds to open up the minds of the decision maker? I strongly suspect not. - Quality time must be spent with the client - main decision maker, HR Director and other stakeholders. During these meetings, it is not about how great we are and "what makes us different", it is imperative to listen, ask the right questions, help the client to further formulate what will and won't work and use our experience to advise on potential pitfalls. - Agree a process. Document a strategy based on the above which is agreed by both parties. This needs to include how we are going to market and what we are saying - your search partner is a huge brand ambassador and consistency through the process is essential. - Communication through the research and approach phase. Surprises and barriers do happen, irrespective of what is sold to the client at initial meeting stage. To avoid disappointment (and waste of investment) good communication touch points are key. Your search partner should be sending management information that is clear and simple to disseminate with a follow up call to discuss how the search is unfolding and potential changes that need to be made. - Time and desire to understand the candidates. Without a well briefed and fully understood shortlist you are clutching at straws. 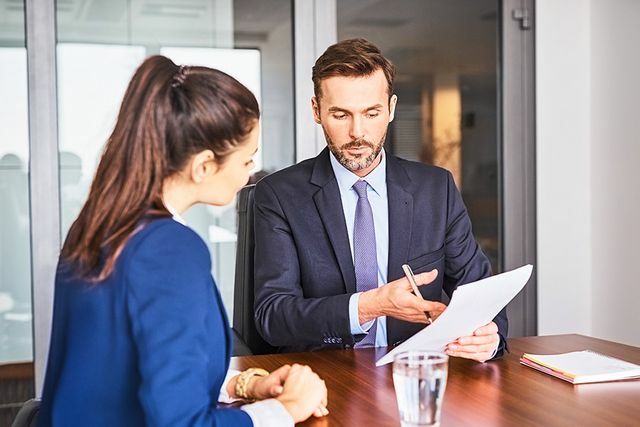 Ahead of your first meetings your search consultant should be able clearly outline motivations and potential barriers to securing each candidate on the shortlist. As you move through the process, they will be close to the preferred candidate and nip issues in the bud early. - After successful appointment Collingwood always like to meet with the client to advise on the clients perception in the market; how the assignment worked and areas for improvement; intelligence from the market - any golden nuggets on what key competitors are doing. This is also a great opportunity to understand where we need to improve and if there were any areas that were not constant at strategy stage. Working with a retained partner isn't always necessary, but when the position demands a more in-depth search choose wisely decision makers!